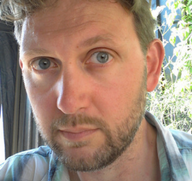 We're over the moon to share the news that Thomas Taylor has signed a six-figure deal with Walker for a new trilogy. Walker duo Denise Johnstone-Burt (UK) and Susan Van Metre (US) jointly acquired world rights to Malamander, set in a seaside town, and two further titles in a trilogy of the same name. The trilogy was signed for a six-figure sum, after an eight-way auction, from Kirsty McLachlan here at DGA. Walker will publish Malamander in May 2019. Taylor created the original cover for J K Rowling’s Harry Potter and the Philosopher’s Stone and will illustrate the series throughout. He has also signed up to illustrate a graphic novel edition of Anthony Horowitz’s The Falcon’s Malteser for Walker Books.